Vane Pack, Vane Pack Suppliers, Gujarat, India. Vane pack is designed to separate entrained liquid from gas stream. The basic design consideration are particle size of the liquid droplets to be entrained & physical properties of the fluid to estimate pressure drop throughout & efficiency. 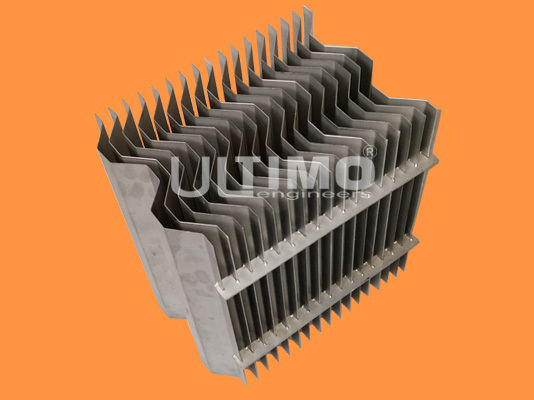 It comes in complete range of efficient vane packs for both horizontal & vertical flow. Size of mist droplets that can be separated are 10 microns or larger.